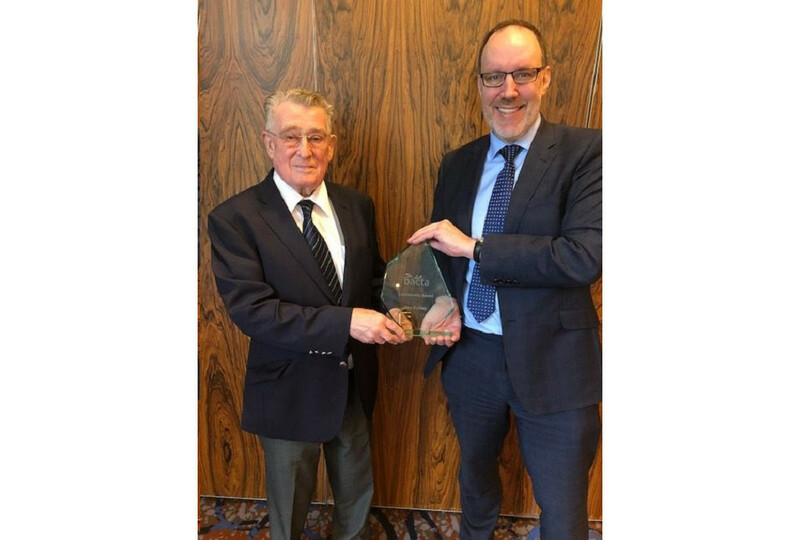 Industry servant Alan Buckley, has been recognised for the huge contribution he has made to the development of the children’s rides sector of the business, receiving the prestigious Bacta Community Award from chief executive John White. 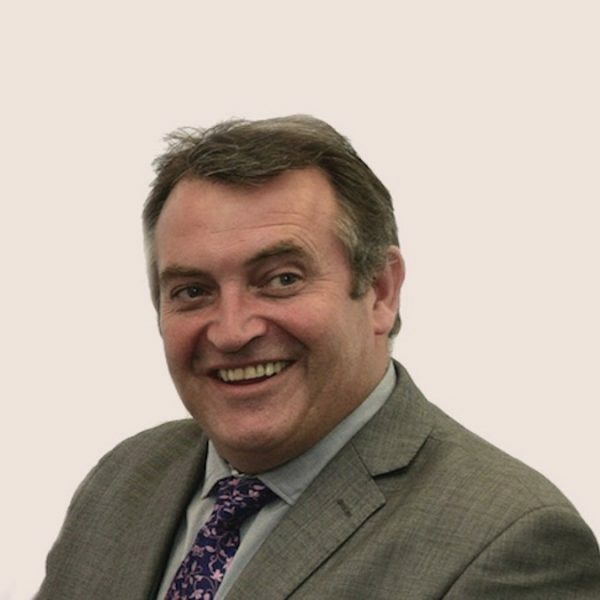 The presentation was made in the company of friends and colleagues, which included representatives from Bacta, BALPPA and The Showmen’s Guild of Great Britain, who were attending the recent Amusement Devices Safety Council meeting held at Drayton Manor Theme Park. 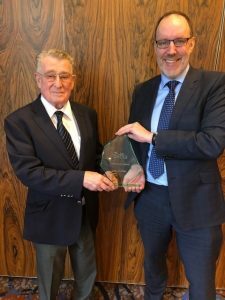 The Bacta Community Award programme was created to recognise individuals who have made an outstanding contribution to the industry and the communities in which they operate. 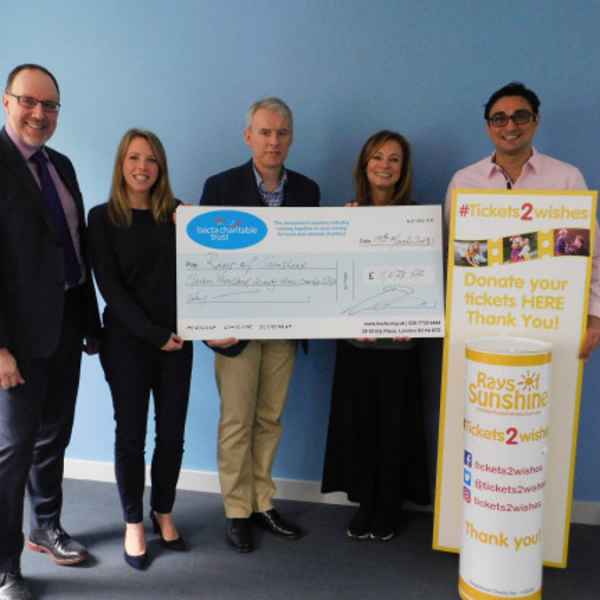 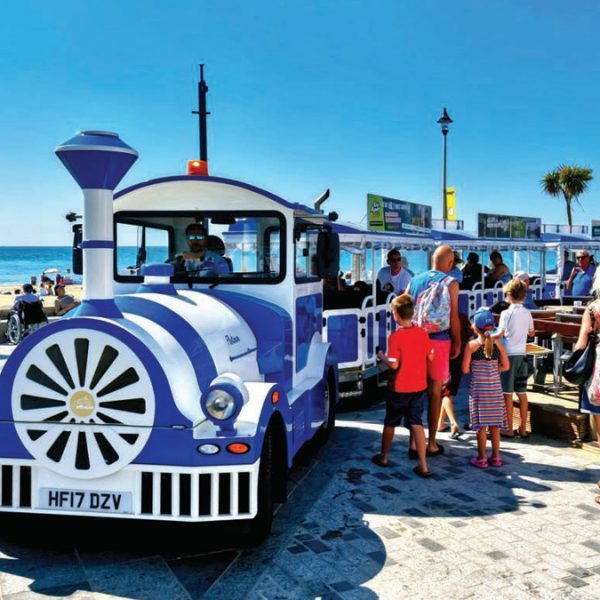 Previous recipients include former Bacta Compliance Officer, Phil Silver; Chief Executive of Brighton Pier Group, Anne Ackord and RLMS Sales Managing Director, Tony Glanville and his wife Sarah for their fundraising activities undertaken on behalf of the Bacta charity partner, Rays of Sunshine.